Make an elegant statement with this ring. 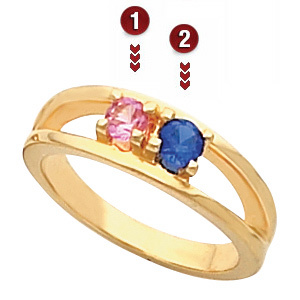 This ring features personalization for 2-7 birthstones. Each prong-set gemstone is 3.5mm in diameter. It is available with simulated or genuine birthstones. Choose 14kt yellow or white gold only.